Our revolutionary approach to teaching young people to drive is unmatched. Good driving instruction is about passion, about listening to the student and pushing them to excel. Which is why we continually train and upskill our instructors to not only give you the best driving lesson experience there is to be had in Longford but also to give you a calm relaxed environment to learn in. That means no stress and no yelling. No other Longford Driving Schools offer free material like ours. With our free home study support material you'll be prepared for every lesson and develop faster as a driver than with any other driving school. Lessons come and go fast and it is easy to forget what you have learned. Our extra lesson material means you can follow up on what was covered before the next lesson ensuring you don't waste time and money going over the same things. County Longford is a county in Ireland. It is part of the Midlands Region and is also located in the province of Leinster. 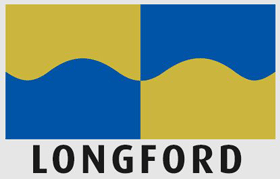 It is named after the town of Longford. Check out pretest packages in Longford here... or Call (045) 256 987 now to book your pretest package. 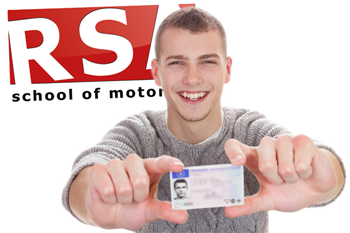 With RSA School of Motoring your Longford driver training doesn't just start and finish in the car. To help you develop fast and retain all the driving techniques our instructors teach, we have created our own exclusive home study email course delivered straight to your inbox to guide you through your EDT to the test. If you're looking for great value... you just found it. We all remember the fun engaging teacher in school that made learning fun and easy. And we can recall the lousy teachers that had no business teaching anyone. Not all teachers are made equal and that is certainly no less true with approved driving instructors. It's not as straightforward as Googling 'Driving Lessons Longford' and picking the first driving school you find. Who can you have faith in to give you that fun and engaging experience? We have helped countless learners pass the driving test so before you continue your search we encourage you to consider RSA School of Motoring for your driver training in Longford. Keep reading to find out why. Do you have female driving instructors in Longford? Look no further. We have female driving instructors all over Longford. Don’t believe the myth about female drivers. Our female driving instructors are some of the best instructors in not just Longford but Ireland. Book your lessons now. Can I learn in an Automatic Car with your Longford driving school? Driving automatic is becoming increasingly more popular and we are happy to say that we can offer all our students automatic driving lessons anywhere in Longford. Give us a call today and we’ll get you booked in with your nearest automatic instructor. Got anymore questions for us? 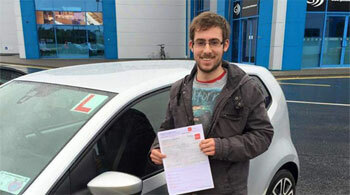 Our Longford driving instructors would be proud to teach you to drive so call us today. You'll be very glad you did.